Imagine a natural park of over 700 acres in the rocky hills above Corbières. In the center of this private reserve owned by the Mirouze family for over a century, surrounded by forest and garrigue, you’ll find fifty acres of isolated vineyards. 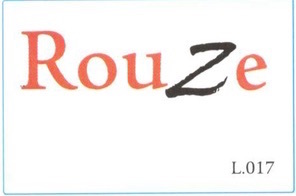 Nicolas Mirouze took over this family domaine in 2000, when all of the grapes had been sold off to négociants. Together with his wife Karine, they spent the next decade gradually bringing the soil back to life and converting the domaine to certified organic farming in 2010. As young winemakers, they began producing the excellent value Campana wines, which are typical of Corbières. After an eye-opening visit with some of the best biodynamic wines in Burgundy, they were inspired by their tastings to push their winemaking further, and ask constantly ask themselves how they farm better and make better wines. A chance event during the 2014 harvest enabled them to begin making the low sulfur, natural wines they had imagined. They had nearly finished the harvest, save for a small parcel of their best old-vine Syrah. At night, a huge rainstorm passed through which blocked access to the vineyard. When they returned to harvest a week later, they seized the opportunity to make a micro cuvée - 1500 bottles of Syrah with only natural yeast, no pumping, no filtration, and only a tiny bit of SO2 added at bottling. They called it the Cuvée Sol, a reference to their focus on bringing the soil back to life. Today, this cuvée is a blend of old vine Syrah and Mourvedre, and is the earthy, richer natural red wine. Since then, they have added the cuvée Ciel de Sud (The Southern Sky), a lighter style red wine make from primarily north-facing vineyards, made with very little extraction to keep the freshness in the wine. They continue to produce the Campana Corbières wines under the historic Chateau Beauregard-Mirouze label, while the more personal, natural wines are bottled under Karine & Nicolas Mirouze and feature artwork by a local artist, Philippe Nivez. Certified organic since 2010. 1 hectare of 20 years old vines from Sandstone from the Massif de Fontfroide. Hand harvested. Natural yeast fermentation. 15-18 days maceration with pigeage. 12 months in enamel steel tanks and fiberglass. Bottled unfined and unfiltered. 2,000 bottles produced. Certified organic since 2010. 1 hectare of 20 years old vines from Sandstone from the Massif de Fontfroide. Natural yeast fermentation. Grapes are destemmed. Short maceration of a few days. Temperature controlled fermentation under 20ºC. 3-4 months in enamel steel tanks and fiberglass. Bottled quickly to preserve freshness. Bottled unfined and unfiltered. 6,000 bottles produced. Certified organic since 2010. 1 hectare of 20 years old vines from Sandstone from the Massif de Fontfroide. Hand harvested. Natural yeast fermentation. 10 days maceration with minimal extraction. 8 months in enamel steel tanks and fiberglass. Bottled unfined and unfiltered. 5,000 bottles produced. Certified organic since 2010. 4 hectares of vines planted in early 2000s from Sandstone from the Massif de Fontfroide. Machine harvested. 100% destemmed. Fermentation in concrete tanks with regular punchdowns and pumpovers. 9-12 months in enamel steel tanks and fiberglass. 20,000 bottles produced. Certified organic since 2010. 1 hectare of vines planted in 2006 from Sandstone from the Massif de Fontfroide. Machine harvested. 100% destemmed. Carignan rosé is saignée. Syrah is partially saignée method and partial direct press. 4-5 months in stainless steel tanks and fiberglass. 5,000 bottles produced.